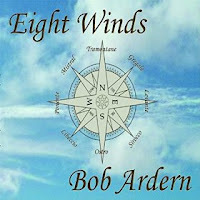 Hailing from the shores of Nova Scotia, Bob Ardern brings us a new masterpiece with his newest album Eight Winds. 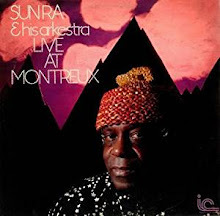 Twelve original compositions including contributions from David Findlay and Duncan Woodcock cover the bases from Classical, New Age, Celtic and light hearted Jazz. This album is a wonderful example of Arden’s finger style playing and offers the listener a reprieve from the hustle and bustle of the everyday world. “Zephyr” is the first track on the album, bringing the listener into the captivating realm of springy playing and intricate movements. Bobbing along the water, you watch the sea hit the side of the boat and hold your head high as you crest wave after wave. This is freedom. Every note. Every wave. “Matilda’s Dance” is a peppy and frolicking piece that invokes a child at play. Dressing up in too big dresses and shoes and dancing around the house with your father. Afternoon tea parties bumble alongside quirky melodic combinations that give loose tooth smiles and the carefree laugh of a child who knows her father’s love. This is the joy of family, of belonging. Picture the dance of a puppy as she figures out her feet, stomping and hopping over the carpet and stairs….the strumming guitar takes you there, every step of the way. “Matushka” is a twisty and windy piece that caught my attention immediately. The guitar work is more intricate and I had to think about what was going on in the mind of the musician as he crafted this composition. Like a decorative top, this piece winds its way over street and sidewalk, taking you on a journey as rich as A Christmas Story and as full of mystery and intrigue as Stand By Me. This is the music of growing up and learning who you are. Sometimes it’s beautiful and others not so much, but with every twisting turn, you see another layer spinning out for the world to see-and the picture is marvelous if you stand still long enough to really listen.